It’s been 5 days on the TWC this time. I am currently hungry and feeling sorry for myself that I will not be enjoying my typical Friday pizza and beer. My body feels a bit leaner already, and I don’t want to lose momentum (or the bonus point for 5 days in a row of perfect nutrition points!). It’s amazing how 5 days feels like it’s been forever. I am glad I took time last weekend to prepare a healthy lentil salad that I have enjoyed for lunch all week. I also managed to go to two social events and avoid losing any points. Breakfast is my favorite meal on the TWC. I love oatmeal and eggs, but also had some delicious melon and smoothies this week. 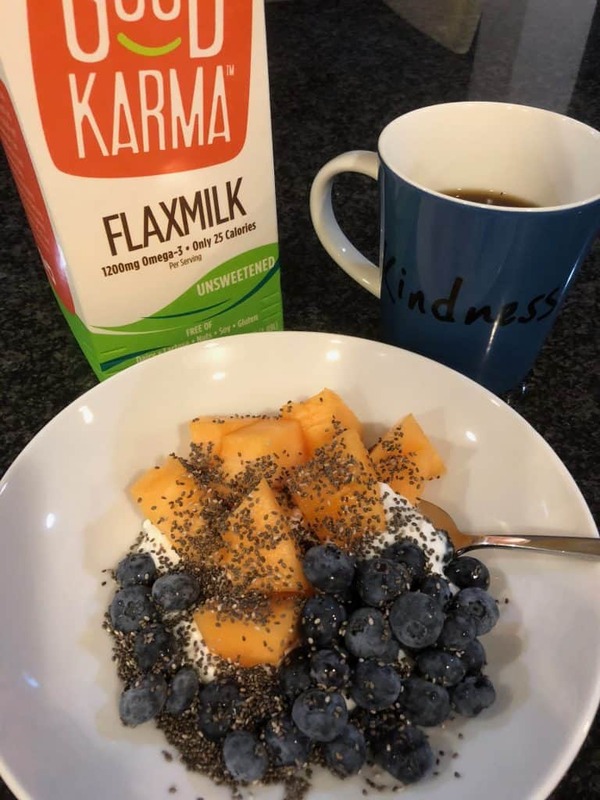 I have been using flax milk in my coffee as an alternative to dairy or almond milk. I haven’t missed anything, except perhaps the convenience of grabbing some chips or crackers when I am hungry but don’t want a meal. I have enjoyed the Yoga For All videos this week. I only missed one day, but stretched on my own that day. These videos are beginner style and about 25-30 minutes long, which is a good amount of time for me. I can do them at home anytime. I usually do them in the morning, but enjoyed a midday yoga break early in the week! I have varied my morning workouts to include some cardio fitness, with running and biking, and mix in some strength training with Body By Ginny Boot Camp and my own Tabata workout at the gym. Normally getting 7 hours of sleep doesn’t seem like a challenge for me, but this week I had a couple of evening events that made it hard to get to bed by 10:30 so I can get up at 5:30 to work out. As a result, I ended up sleeping later and that put a squeeze on my morning workout routine. Normally, I would still wake up at 5 or 5:30 even if I was up past 10:30, and that usually works for me. I am not a big fan of this challenge as I normally do pretty well on sleep on my own. Next week’s challenge of limiting social media to 5 minutes a day won’t be too hard for me, except I use Twitter for work, so will need to figure out when to use my 5 minutes. I am already off of Facebook and don’t check Instagram more than 1-2 times per day. I already feel a bit better having stuck to the rules strictly all week. The temptation is to back off now and get lazy. I am probably going to lose a few points this weekend, but plan to stay close to the rules and not lose any progress I made this first week! 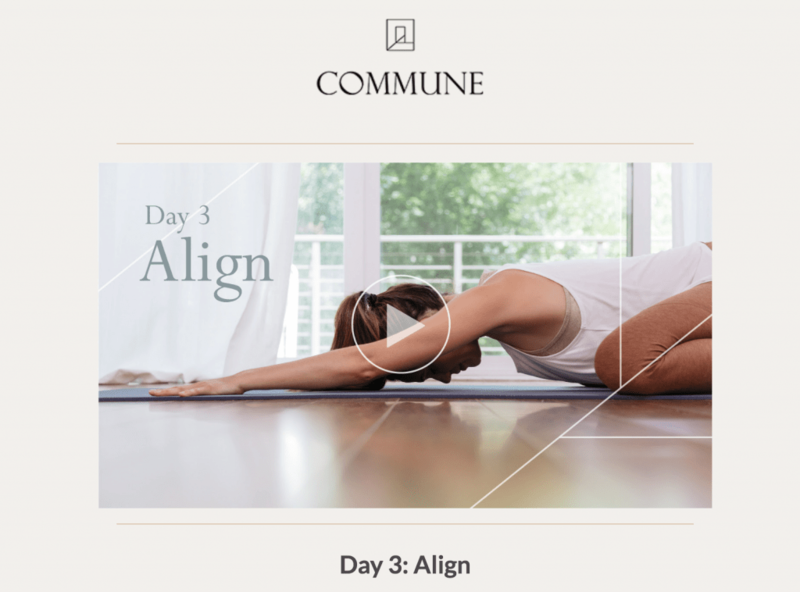 Previous article: Another Total Wellness Challenge! Well done Tara. I made some changes but took two steps back yesterday. Also got to the beach at 11:30 and couldn’t stay asleep this morning no matter how hard I tried. My body just likes getting up before the sun. Stay with it. I’m inspired by your progress. I’m having trouble getting the “whole grains”. What do you do for that?